The stunning surroundings and pristine environment does make every stay perfect. The management here welcomes each and every guest with warm hospitality. The different style of accommodation brilliantly suffices the needs of every guest. Elegant interiors and contemporary amenities make the stay unforgettable. 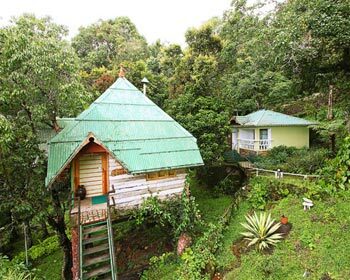 The additional features of Camp fire, rock huts, Ayurveda centre does cherishes our heart and gives an appealing impact. 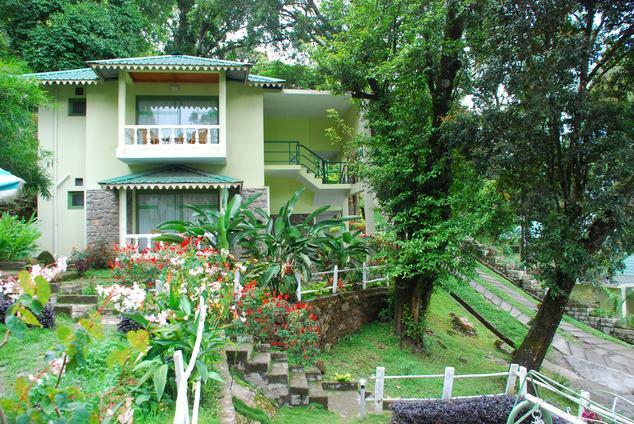 This category of accommodation is airy and has all the needed amenities in the rooms. The rooms here do have the ingenious qualities of private bathroom. The room here features the facilities of television, telephone and bathroom facilities. The state of art infrastructure and modern amenities here does suffice our needs of luxury. On request room service facilities are available. These rooms are perfect for taking a break from city’s hustle and bustle. 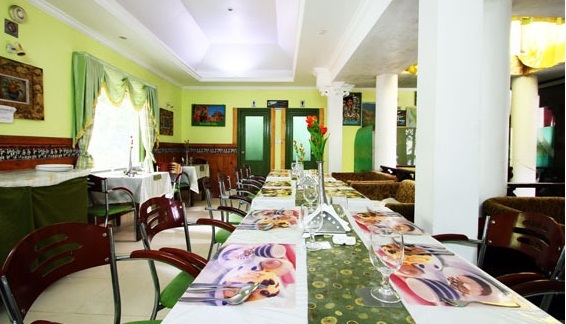 The wall paintings and carefully designed interiors pampers the guest with the professional hospitality services. 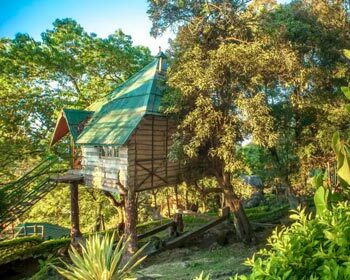 The tree houses are situated on the heights but do have all necessary facilities required for the guests. These accommodations do have contemporary fixture and fittings in order to meet the luxurious needs of every guest. 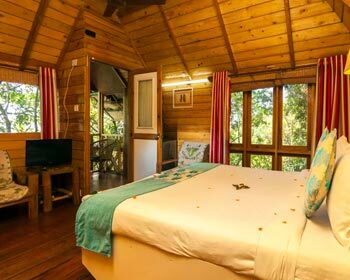 Double occupancy in the tree house makes it even more delighting. With the good ambience the dynamic services here are worth experiencing. Be it business or leisure this category of accommodation is perfect for every guest. Every nook and corner of the room is designed brilliantly and giving detailed attention to every expected needs of the guest. While staying here the guest could even call for the natural trails, pick up and drop services, charges for the services may apply. These rooms also do have the ingenious qualities of private bathroom. This category of accommodation does help you to spend quality time with friends, family or acquaintance. 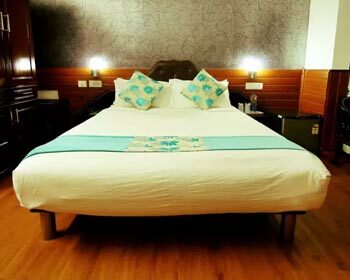 For complete peace and relaxation these rooms do have large beds and furnished well places amenities. To each and every guest clean and hygienic rooms are provided. 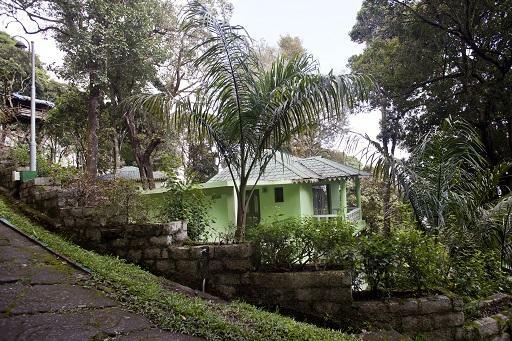 The lush green surroundings and the calm environments are perfect to feel the vibes of nature and picturesque site. The view from the Villa does soothe and mesmerizes the senses. The villa is perfect for people who are looking forward for privacy. 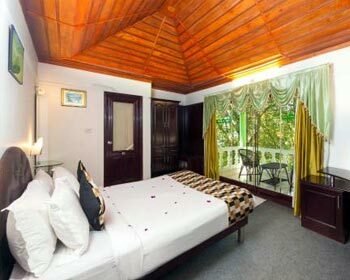 This villa has eye soothing interiors and is offered to every guest in clean and hygienic condition. The king size bed is perfect for complete peace and facilities. For rejuvenation of the guests villa here also have the facilities of color television with cable programs. 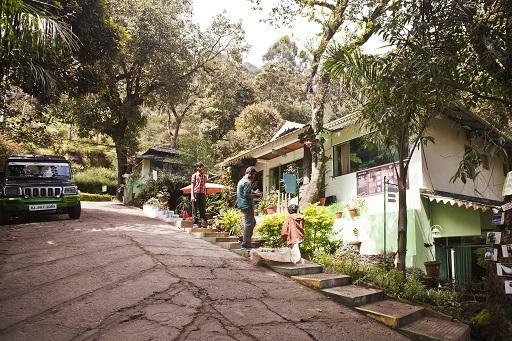 The rooms here do have the ingenious qualities of private bathroom and are offered in completely furnished state. The in-house restaurant does offer scrumptious delicacies and varied choices to both vegetarian and non vegetarian lovers. The skilled and learned chefs do utmost take care of cleanliness thus never believe in compromising the quality of food. The friendly staff here does listens to your every need. Here the local delicacies are worth trying being it vegetarian specialties or non vegetarian delicacies specially served with different chutneys or sausages. On request special delicacies can be cooked here.